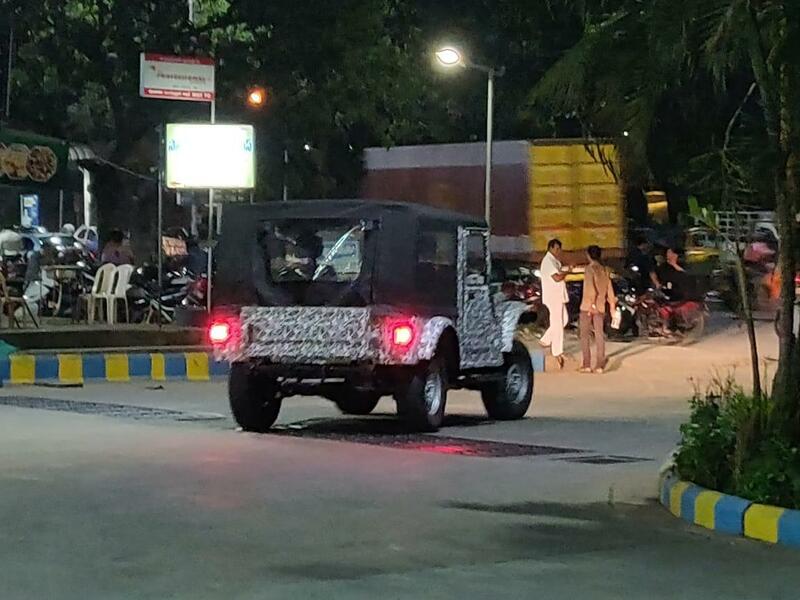 Spotted testing yet again, out in the open, buy with camouflage which cannot hide its identity; this is the next-generation Mahindra Thar which will launch in the FY 2019-20. 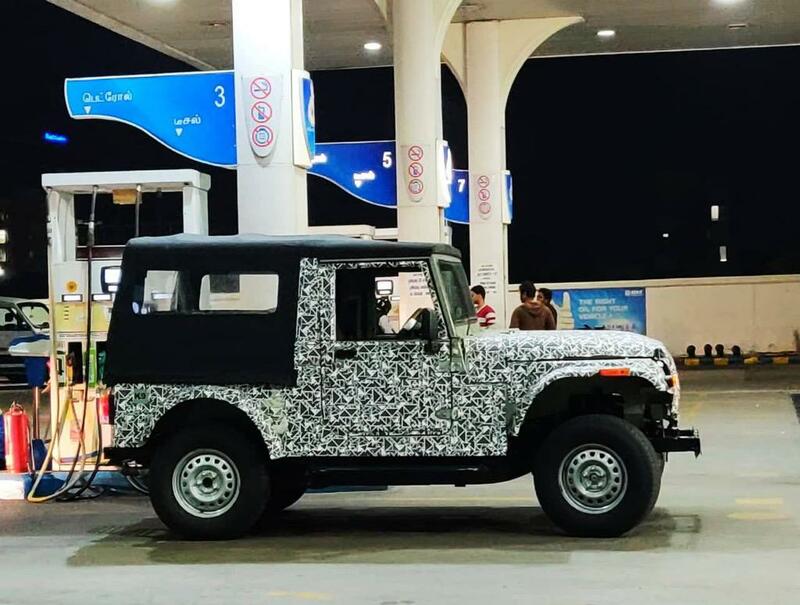 The all-new Thar from the spyshots surely looks bigger and better, and we for a fact know this that the new model of the iconic SUV will also be SAFER. 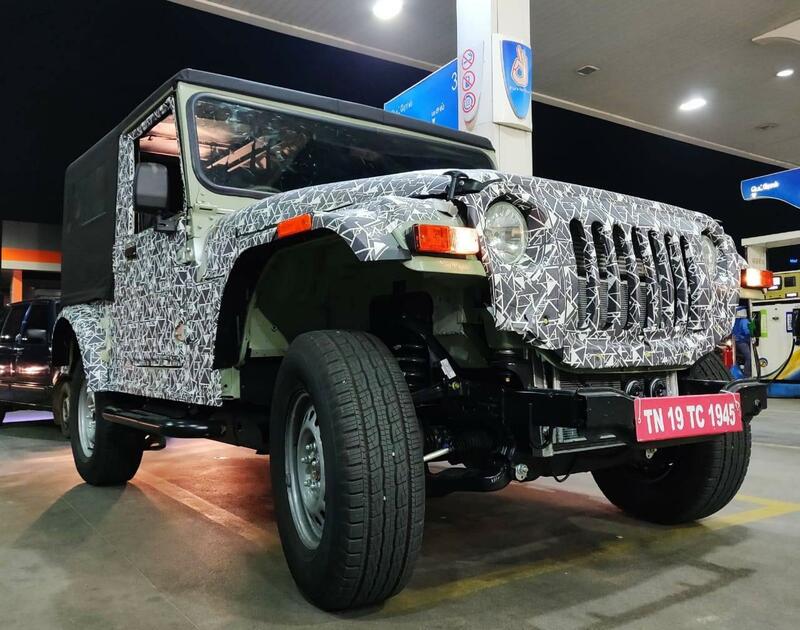 At the moment, the Thar CRDe has a cult status among off-road enthusiasts. 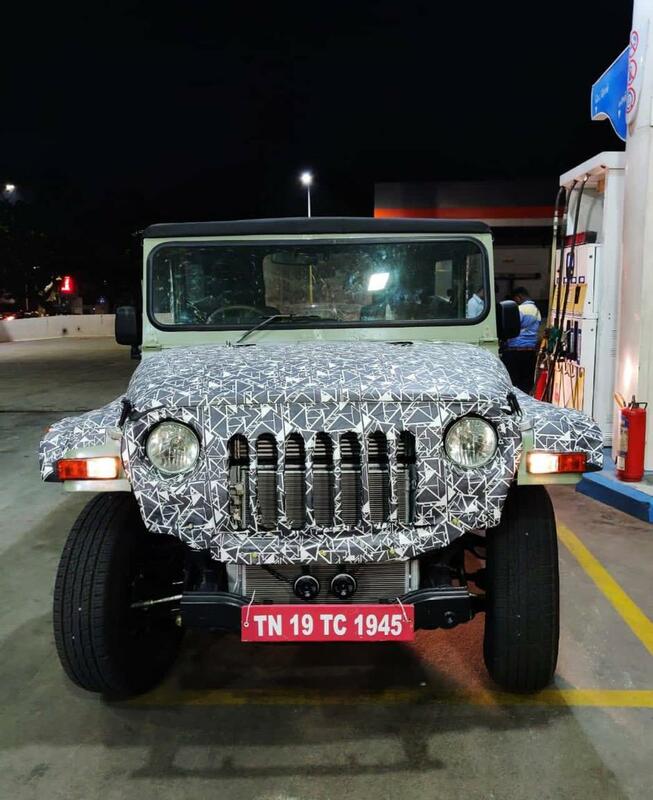 With design rooting back all the way to the glory days, or say to the World War II design DNA, the Mahindra Thar even in its new avatar stays reminiscent of the past. The spyshot reveals the new SUV to sport the same soft top body style. The soft top canopy has a clear section on either side and a zipper flap at the rear to allow passenger access. From the front, some styling cues will make you think of the Jeep Wrangler. The front fenders, above the wheels are much more pronounced and wider. The new Thar by itself looks wider in the body altogether which should allow for more room inside the cabin. Other stuff remains bare bores line the clear lens headlamp, the marker lamps with standard bulb turn indicators. One can also notice dual horn right behind the chassis member. Also seen in the spyshot is a side step for the front passengers, steel wheels, old school rear view mirrors with no electric adjustment, same old tail lamp, new suspension setup, same bonnet locking mechanism and the likes. The Mahindra Thar in its new avatar most definitely will continue with a diesel engine. The specifications are unknown, but may be the 2.2L mHawk engine could be reworked to meet the BSVI emission norms and make way in the Thar. This will allow the Thar to get a far superior engine than what it runs with currently. For 4×4, the Thar will get 4H, 4L & 2H configurations with a separate selector. Expect the standard gearbox to be a 6-speed unit for better highway driving and mileage delivery. Does this new design still appeal to you? 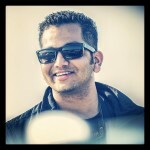 Or does it look just the same, since years?